You can feel the tide turning against apartment complex owners. First came the change in Section 8 rules that allows vouchers to be used for the purchase of mobile homes. Then came the realization that apartment rents have reached a natural limit, as a national $1,170 per month apartment rent leaves little room for increase. This fact has led many large portfolio owners, such as Sam Zell, to sell out some or all of their position. On top of that, you have the simple fact that apartments have huge capital cost liabilities in roofs and walls and balconies, not to mention structural obsolescence at some point, which are like a ticking time bomb for owners. The bottom line is that mobile home parks are about to overtake apartments as the in-demand investment option in affordable housing. 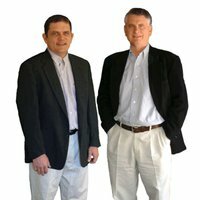 You’ve seen that in the three recent $2 billion purchases of large MH portfolio owners, and you’ll see more of it as private equity groups from across America and the world start to enter this business – a sector they had shunned prior due to perceived superiority of traditional multi-family. And we think this is great for the industry in many ways. Most people have heard of Frank’s classic story of losing the natural gas at his first park in the dead of winter. The incredible stress of having 80 families suddenly deprived of heat, hot water, and a method of cooking. This was all because the park had “master-metered gas” – which means that the park itself owns all the gas lines. But even on a normal park, you need to know the ins and outs of gas. So what’s the truth? Here’s a new bulletin: metal, when buried, corrodes. I think everyone knows this. But since you don’t often see buried lines, you tend to forget about them. Unlike PVC and Clay Tile, metal lines all have a definitive life span. In the photo at the top of this article, you can see the giant project that St. Louis is currently undertaking: to replace all their main corroded gas lines throughout the city. This is costing millions of dollars and is about as unpleasant a task as it humanly possible. While I was taking this photo, just about 100 feet away, a crew hit a water line with a backhoe while digging up the gas line, causing a gigantic mess. Wish you were in charge of that project? Water lines are also made of galvanized metal, just like most gas lines. They also corrode and often develop leaks. But water leaks do not compromise safety. A leaking gas line can result in explosion, fire and severe property damage. Leaking water lines result in greener grass and larger trees. While you can let a corroded water line alone and pay for the economic penalty of water lost, a gas line leak must be addressed immediately and you cannot pay a monthly penalty to leave it alone. The fear of gas lines seems to revolve around who owns them and is responsible for their integrity and/or replacement. In a normal park, the gas company owns all the lines up to the meters to each home, and the park only owns that tiny bit of line from the meter to the connection to the home. That little segment is not that expensive and can be replaced in a single day (and hopefully before you park a home on top of it). But when you own all the lines in the park – as is the case with master-metered gas – you are the one that has to deal with the whole mess – and pay for it. Master-metered parks have one giant gas meter at the front, and then the park owns all the lines thereafter. 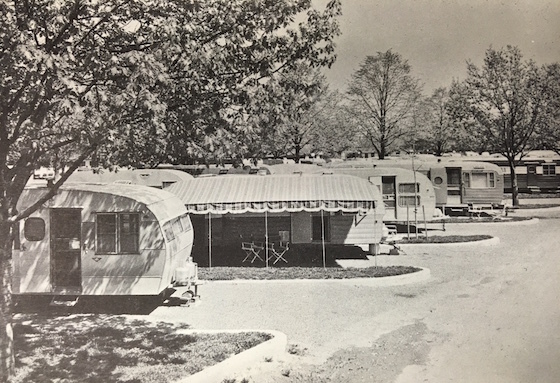 Park builders made it that way in the 1950s, when mobile homes were more like RVs and they wanted to “plug and play” upon arrival. By having all gas “live” in the park 24/7, the manager could just connect the trailer and start cooking immediately. Of course, with modern mobile homes that’s no longer necessary, as the home requires a power inspection before occupancy and “plug and play” is no longer how things work. What do you do while they’re being replaced? And beyond just the expense of replacing the lines is the time required to do it. How do people function without heat, cooking or hot water? Good question. It’s enough stress in paying for the whole process and managing your way through the endless unexpected disasters of cutting other lines, not counting the human side of the equation. The gas company has the ability to put in the new line before turning off your old. But you won’t have that luxury. Even if you do the project in summer, you can’t get around the absence of hot water and cooking. What can offset this liability? Master-metered gas is not always a deal killer. But to redeem itself, the potential deal is going to require something equally compelling as an offset. We have owned master-metered gas parks, but they have terrific locations or a low purchase price that made the risk worthwhile. One of the most valuable parks we tour on the Los Angeles Boot Camp is on the beach. The mobile homes sell for $300,000. And it has master-metered gas. Many of the parks with the best locations in the U.S. were built during the 1950s, at a time when master-metered gas was common. But you would not want to buy an average park in an average location at a retail price which also has master-metered gas. That’s a terrible concept. If you are looking at a master-metered gas park, there are some things you can do to reduce your exposure. Do a pressure test. This is often impossible for most sellers to allow you to do – if the test failed the park would be launched into a costly disaster. However, parks in Texas are supposed to have regular pressure tests, so ask to see the results of the last study. Check to see what your state’s rules are regarding regular testing. Dig up a section of the pipe and see how corroded it is. I once did this on a park in Denton, Texas and I was shocked at how pristine the line was – it looked brand new. Different soils contain different levels of corrosive elements. See if you got lucky. Have a Plan B ready for when the line goes out, and price it accordingly. Don’t let the line failure come as a surprise with no plan for fixing it. See if you have the ability to fund the eventual replacement plan. See if propane is an option. In some areas, the fastest and cheapest replacement is to ditch natural gas and go with propane. That’s how I fixed my first park that failed. See if all-electric is an option. The other alternative to propane – to eradicate natural gas – is to make the park all-electric. Do a study of your park and see how many appliances in the homes are already electric. It may be that going all electric is faster and cheaper. Understanding natural gas and its limitations is essential for any park owner. Make sure you have a complete grasp on it before buying a park, and a back-up plan in case of problems. When the phone rings that you have a gas leak, you’ll be glad you did. Frank was recently interviewed by U.S. News and World Report regarding the mobile home park industry. U.S. News joins a select group of top publications that are now pro MH, including the Wall Street Journal and the New York Times. As many people know, we are the largest users of 21st Mortgage/Clayton Home’s CASH program in the U.S. We have around 1,000 homes in our parks under this initiative. So why are we such huge fans of CASH? It allows you to fill your vacant lots with no money out of pocket. You are not the home owner: the customer is the buyer and 21st is the lender. 21st Mortgage handles all the paperwork, so you do not have to be SAFE Act licensed. 21st does a terrific job of screening applicants, and has very low defaults. We’re not alone in our excitement for this program, as the number of homes ordered under CASH has more than doubled this year from a variety of park owners, both large and small. 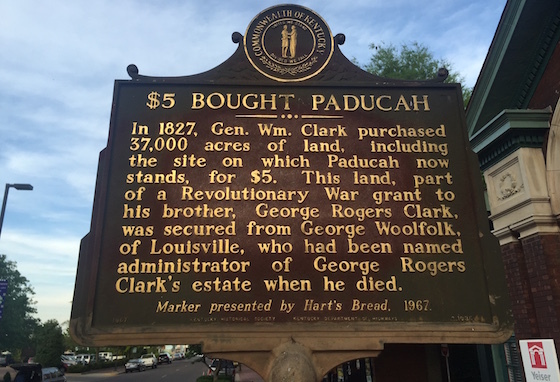 The city of Paducah, Kentucky, population 25,000, was originally purchased for $5. Today, that sounds like a bargain price, but you still might have been better off buying a different chunk of land in 1800. Remember, after all, that Manhattan Island was originally just farm land. So what goes into a great mobile home park location? Let’s start with population size. Don’t worry about the city itself that the park is located in. That could be just a small suburb. The key gauge is the “metro” population. We prefer metro areas that are 100,000 and up. At that size of population, you have a very diversified economy with a large number of employers and a very aggressive chamber of commerce. You have every big box retailer, every type of franchised restaurant, a large hospital, a large school district – all types of opportunities for jobs. Without jobs there’s no income, and no income means no rent can be paid. We have found that there are two basic types of mobile home park locations that work well: 1) a great school district and 2) an urban location in the middle of town. Why do these work? Because there are two different types of mobile home park residents: 1) those that can’t afford a stick-built home but want the same things that we all want, such as good schools for kids, low crime, and solid neighbors and 2) those that want to live in the heart of the action on a limited budget. Not all metro area economies are created equal. Some are based on one huge employer who represents 80% of all jobs. These type of markets can wither and die in the event that the major employer moves, shuts down, or simply engages in layoffs. A good market is one in which there is an even diversity among employers, with no single employer having complete dominance. In addition, a good market has key employers that are “recession-resistant”, such as hospitals, colleges, school districts, government jobs – job that are immune to layoffs regardless of the state of the national and state economy. Mobile home parks represent “affordable housing”. In order to be “affordable” you have to have “contrast” with higher home prices. That’s why we like median home prices to be around $100,000 or more. However, you can still have a successful mobile home park at lower median home rates. The danger zone is around $50,000 or so. At that price, the mortgage payment would be lower than the lot rent in many parks. Of course, mobile home park customers rarely have the credit rating or down payment to actually buy a house. Apartments are the main competition to mobile home parks. As a result, you want to have a price advantage. Average two-bedroom apartment rents of $700 or so is a healthy market. $300 apartment rents are not. We like to have average apartment rents that are twice our lot rent. Not that we need that type of price advantage; most of our residents prefer mobile homes over apartments even if they were the same cost, due to 1) having no neighbors knocking on ceilings or walls 2) having a yard 3) being able to park by your front door 4) having the ability to be a homeowner and 5) having a stable community of like-minded individuals. Regardless of whether or not you believe in global warming, the truth is that weather is becoming more severe every year. This can have a significant impact in many regions. The two most obvious are 1) hurricane areas and 2) drought. In most of America, more severe weather can be a nuisance. But in other areas, it can mean financial collapse for a mobile home park. Sure, $5 for Paducah, Kentucky was a good deal. But you’re unlikely to see that pricing again. As a result, you need to make sure that you are buying a good mobile home park location for the long term. This first story relates to a park in Kansas that has had its water and sewer turned off for non-payment for the past two months (and was subsequently shut down). We offered to move all 23 of the residents to our nearest park in Wichita, Kansas, free of charge. A complete win/win story. The second story is concerning our new acquisition in Bryan, Texas called Ramblewood. As is common with a park logging years of mismanagement, many of the tenants did not like the concept of having to pay the rent every month and having to keep their yard free of debris and to act like a good member of the community. So they contacted the news to complain. But in a strange turn of events, the reporters found that the majority of the residents actually appreciated the higher rent and stricter rules, as it meant that the park would be a nicer place to live. If you watch the “Tiny Home” shows on TV, you’ll notice that the end product is starting to look more and more like a mobile home. 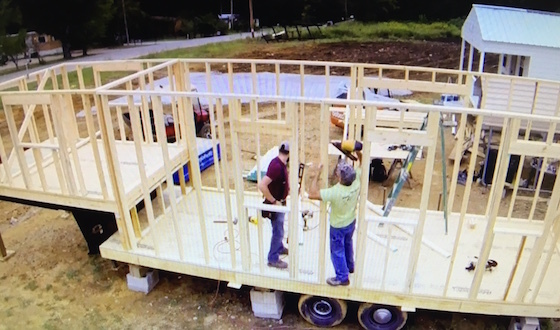 In the early shows, the “tiny homes” were delivered on skids, while the new shows (like the one shown above) show a home that is delivered on wheels and is classified as a “trailer”. What happened? Cities have started cracking down on the fact that you cannot live full time in RV parks, which were the only place you could permanently “park” those tiny homes on skids. So the future of tiny homes is that they will have to go in mobile home parks or on private land. As more tiny homes go into mobile home parks, it will improve the image of the industry among young people and urban pioneers. There is nothing that can offer a greater flashback to America of a half-century ago than a mobile home park. Other than the cars in the parking pads, much of what you see is identical to decades earlier. That’s why it’s so insulting when people say “so when do you replace those old homes?” Why would you? Mobile home parks have already demonstrated unbelievable longevity. Can you name another form of real estate – or any product – that has remain as unchanged over the past 50 years? Apartments, office buildings, hotels, malls, strip centers – they all look nothing like they did in the 1950s and 1960s. But parks remain the same. This stability is what makes our industry so profitable; low capital costs for modernization, and few changes in occupancy due to the resident being a “stakeholder” in the business via their home ownership. How Do Mobile Home Parks Really Escape Huge Capital Costs? 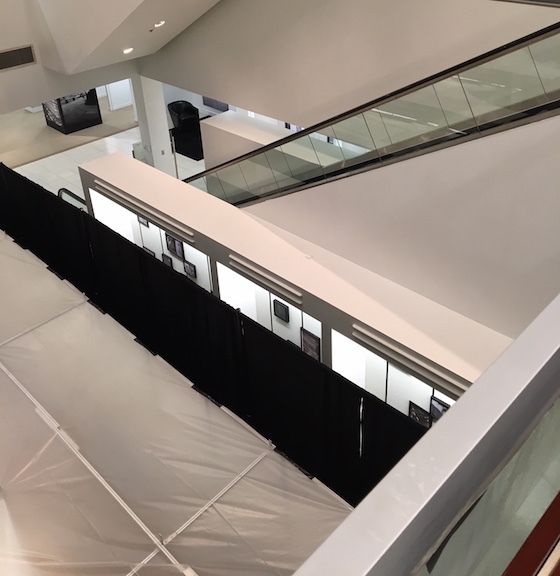 This is a photo of the escalator in Saks Fifth Avenue in St. Louis. Saks is trying to replace it, but there’s a problem. They installed the escalator when the mall was built, and then built the building around it. There’s way to remove it. So they are going to take two years to remove it piece-by-piece by hand. Every nut and bolt. And then install the new one the same way. These are the type of multi-million dollar issues that don’t pop up with mobile home parks. So how does the mobile home park sector escape these type of problems? One way is through unbelievably easy access. Mobile home parks are, for the most part, low density and you can back up virtually any piece of equipment anywhere you need it. In cases where a home is over a line, you can – worst case – pull the home out and put it back. The fact that mobile homes all have street access is another key point. Many park owners have replaced utility lines by cutting a notch in the streets and laying the pipes there. Since a mobile home park is effectively a park lot, access is always relatively easy. Most mobile home parks do not have many, if any, “real” brick-and-mortar structures. This means that you don’t have much that needs serious capital expenditures. Since most parks don’t own the mobile homes, the only thing that needs a roof or foundation repair are the clubhouse or laundry building. What’s left are basically water lines, sewer lines and roads. Regarding water and sewer lines and roads, most of these have been effectively partially replaced every year for decades. Like Johnny Cash’s “One Piece at a Time” song about building a car from stolen parts from an assembly line, most park’s utility lines have been gradually replaced as a repair issue. When a water or sewer line breaks, the normal procedure is to replace that segment with new PVC pipe. And when a road goes bad, you re-pave that section. In this manner, no park in America is still 100% as it was built, but has been cobbled of many replacements over time. Good news for the mobile home park industry is the dramatic improvements in replacement technology for utility lines. For clay tile sewers (which is probably 85% of the industry) is the concept of “pipe-bursting”. Under this technology, a hydraulic device pulls new PVC pipe through the cavity of the clay tile, which is simultaneously pulverized. Another technology that is new is the lining of metal water lines with plastic. Called NuFlow, this method includes sandblasting the inside of the old galvanized lines, and then blowing plastic through the lines to create PVC inside the metal lines. These advancements have huge cost benefits over traditional replacement of lines – about 66% less in the case of pipe bursting. One large benefit to mobile home park ownership is the ability to live in the absence of large capital expenditures. As real estate in other sectors continues to age – such as the department store escalator – avoiding capital expense items is going to be a big advantage to hitting return goals. The best corporate lawyer we have ever used is Dave DiMarco at Woods Oviatt Gilman, LLP. We have used him on virtually all of our conduit loans, as well as traditional bank loans. What we love about Dave DiMarco is that he knows what we are trying to accomplish (get the loan closed quickly and inexpensively) and he can quarterback the situation and push it to the goal line without us having to bug him or worry about our progress. Here’s a story that illustrates why we use Dave Dimarco. A few years ago we bought a mobile home park and, after turning it around, went to refinance it into conduit debt. Everything looked great until the lender’s counsel found a minor problem with the title: a city street that fed into the park actually belonged to the park and not the city. On top of that there was around 16 square feet of land that the park owner had not obtained an easement for 40 years ago, and that made one side of the city’s road in jeopardy. Now, the whole situation was ridiculous, as the city itself was adamant that they owned the street. In fact, state law mandated that, under adverse possession, they had owned the street for decades. It even showed as the city’s street on the street map. However, the impossible-to-please lender would not move forward unless we could obtain a letter from a judge stating that the city owned the street – which could take months or years. So Dave DiMarco ran out and located the owner of the 16 square feet, initiated negotiations, and we bought the easement. It saved the day on that loan. No other attorney on earth would have taken that outside the box effort. We knew then that Dave Dimarco was our man. If you need service like that, then consider using Dave DiMarco on your next transaction. You can reach him at (585) 987-2833. And, yes, he’s the brother of Anthony and Gerry DiMarco – the #1 mobile home park loan brokers in the U.S. This is a family that definitely shapes the industry. This is a photo of a bank in southeast Missouri. That’s right, a bank. 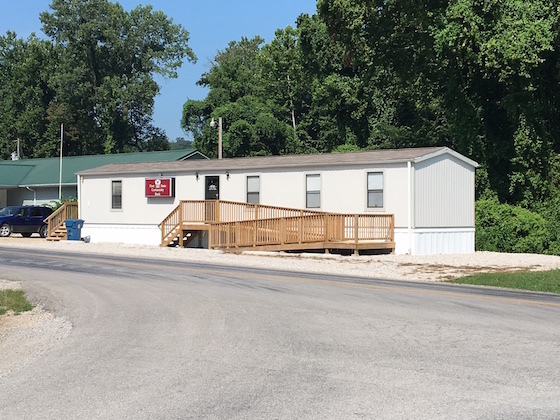 After a flood in St. Mary’s, Missouri, the bank elected to move their branch to this mobile home they had brought on to land they owned at the other end of town. People always think of mobile homes as strictly housing units, but they are actually adaptable to other sectors, as well. They have been a prominent part of construction job sites for decades. You can’t buy a mobile home park without doing a Phase I – you could lose everything if it turns out to have environmental pollution on it. So who do you choose to do the report? We choose Mike Renz. Mike is the consummate professional and his range of knowledge is unparalleled. Here’s an example. We were buying a mobile home park and it failed the Phase I. Most people would have given up, but Renz knew that something did not seem right. It seems that a disgruntled manager had called the EPA and claimed that the owner had been operating an illegal land fill at the back of the property, yet Renz saw no evidence of this on aerial photos. So he did some quick borings and found the claim was a lie and the EPA removed it from their database. Case closed and park purchased. That’s the reason that we refer so many people to Mike Renz. Have you ever seen the “Beard of Knowledge” character on the show Pawn Stars – the guy who is a walking encyclopedia of all trivia? Well, for environmental issues, Mike Renz is that guy. This is a new section of the monthly newsletter that will allow park buyers to better communicate directly with each other for opportunities and information sharing. To advertise here, you must be a member of the MHU Investor’s Club which is a program available to our Mobile Home Park Boot Camp and Mobile Home Park Home Study Course customers. We do a lot of conduit loans -- and regular bank loans -- every year. A common feature of those loans is Security Mortgage Group. If you are buying or financing a mobile home park, let Security Mortgage Group get you the loan. They build the loan package, they pitch the banks, and they bring you the best options. It saves a ton of time and energy, and the rates and terms they find are always better than what you can obtain on your own – they effectively more than pay for themselves. If you have any loans you need help on, you can reach Anthony or Gerry at (585) 423-0230. Tell them Frank & Dave sent you.